American Drug Czar, Alan Bersin, warned Mexican cartel leaders against targeting either US or Mexican law enforcement, and warned of a significant response for those that do. Tough talking American border czar, Alan Bersin, warned Mexican drug cartel leaders against the targeting of US forces, on either side of the border, saying that attacks on border agents would be met with, "a significant response." Bersin stopped short of defining exactly what that response would be. Bersin's threat to cartel leaders came after reports emanated from the Sinaloan Cartel of an ordered change in tactics. In the past, drug cartel criminals have always dropped the drugs and attempted to escape when confronted by law enforcement; but after a new edict from Sinaloan cartel leader, Joaquin Guzman, which ordered an armed response to attempted arrest, law enforcement officials are preparing for an intensified wave of violence. Guzman, known as El Shapo, is an infamous member of the DEA's list of most wanted drug criminals. The leader of the Sinaloan cartel was recently listed by Forbes magazine as the 701st richest person in the world, with an estimated fortune topping 1 billion dollars. Guzman made the threat in response to increased pressure from Mexican authorities, which have, amongst other measures taken, sent Mexican Army troops to areas of drug violence to help local police forces maintain order and make arrests. Cartels in Mexico are locked in a brutal war for trafficking supremacy. Since early 2008, more than 7000 Mexicans have been killed in drug related violence. 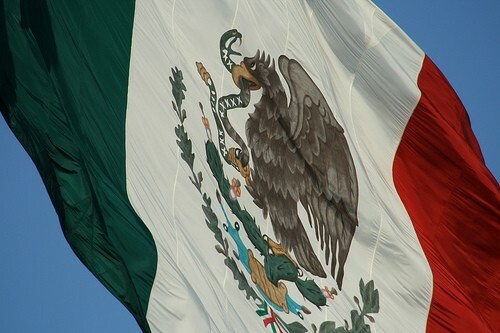 Bersin says that Mexico's war with the cartels has provided American agents with "an historic opportunity" to assist in the fight against drugs moving northward into the US. Some of the measures taken to assist the Mexican authorities include dramatically increased checks of cars moving southward into Mexico, in an attempt to reduce the flow of cash and weapons traveling from America to Mexican cartels, as well as increased cross border intelligence gathering, and continuing domestic efforts to reduce demand for drugs. Bersin reported that although border checks for cash have not yet affected the cartels, over the long run these measures would prove damaging to the drug runners. Cartels now rely on the physical movement of cash across borders, after increased banking scrutiny towards money transfers after Sept 11 made the electronic movement of money problematic. The US has promised the Mexican government 1.5 billion dollars in aid money to help with the costs of the south of the border drug war. Roughly 90% of the cocaine distributed in America comes out of Mexican cartels, and these cartels maintain distribution networks in more than 200 cities across the US. Texas Governor Rick Perry has formally requested federal assistance in the securing of the state's lengthy border with Mexico, asking specifically for 1000 permanent National Guardsmen stationed at the border to prevent south of the border violence from spilling over up north. Bersin reported that Gov. Perry's request remains under federal consideration.